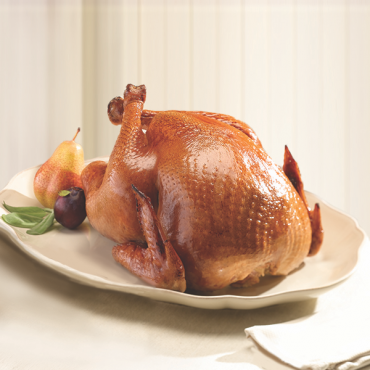 Leave it to HoneyBaked to make turkey delicious and easy. Our whole smoked turkey is gently smoked over real hardwood chips to tender and moist perfection. Our smoked whole turkey will earn you a whole lot of kudos. Weighs approximately 11 pounds and serves 10-12 guests.